Special Offer: Order 3 items of this product for a total of just £12.00. 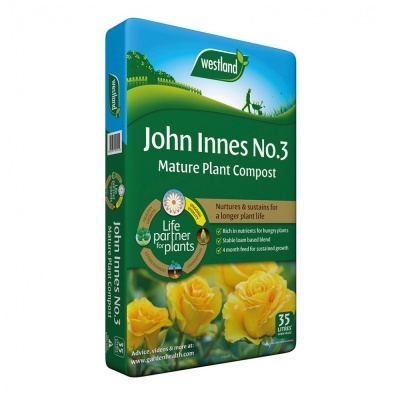 Westland 'Garden Health' John Innes No. 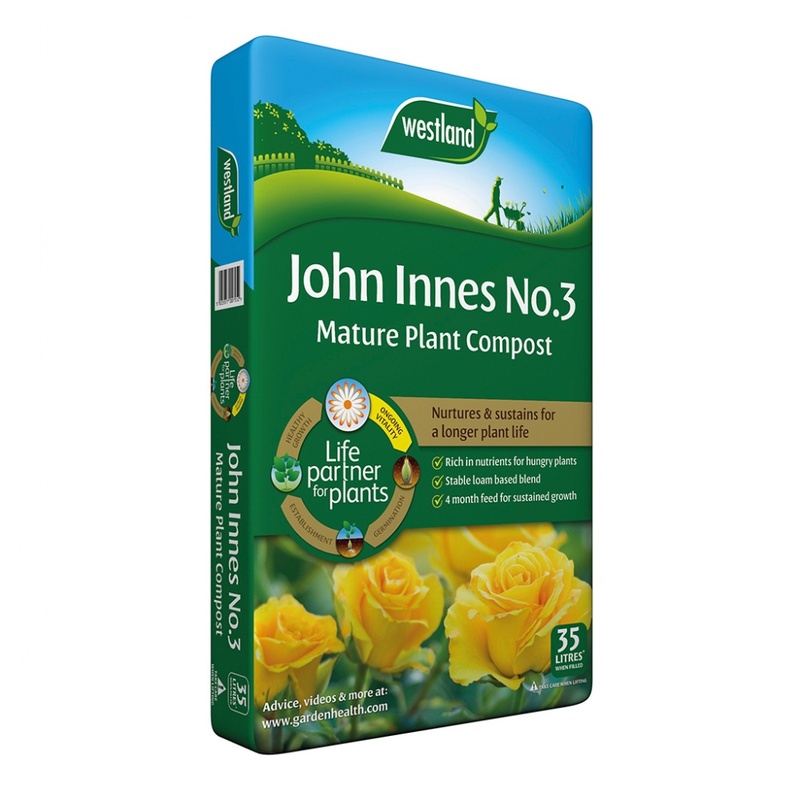 3 Mature Plant Compost supplied in a 30 litre bag provides a Life Partner for your mature plants, by nurturing & sustaining a longer plant life. John Innes No. 3 benefits mature plants with rich nutrients to feed hungry roots for the first five weeks. Promotes and encourages new growth whilst preventing waterlogging due to a good drainage mix. Provides a richer mixture for final re-potting of gross feeding vegetable plants, and for mature foliage plants & shrubs in interior or outdoor containers. A good all round compost for pots and as feed to dry soil.